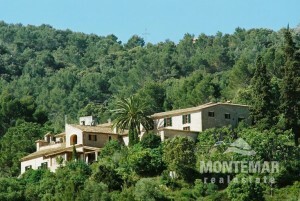 Luxury Fincas & Villas for Sale in Esporlas | Montemar S.L. If you have just decided to choose Mallorca as your new home, it will take some time before you can show your visitors the estate La Granja in the new finca or villa. However, this is a must if you invite relatives or friends from home to Esporlas in your new residence. A journey into the past of today's popular holiday island of Mallorca awaits you here - amidst the typical wooded landscape in the midst of green surroundings. From Palma airport you and your visitors only have to travel a reasonable distance of 21 kilometres to reach your house. The same stretch connects you to all the amenities of the nearby capital without having to become part of the touristic scene. Esporlas is embedded in the Serra de Tramuntana. Arts and crafts are produced here in abundance; small shops and a charming atmosphere distinguish Esporlas. In order to be able to open the door for your beloved visitors very soon, simply select Montemar Real Estate as your partner; as your local contact with very exclusive offers, we can significantly reduce your waiting time for your own villa or a beautifully located finca and save you from difficulties such as language barriers or legal unawareness.